Learn to sing on key. Is there a better alternative to Vocal Lab? Is Vocal Lab really the best app in Audio category? Will Vocal Lab work good on macOS 10.13.4? 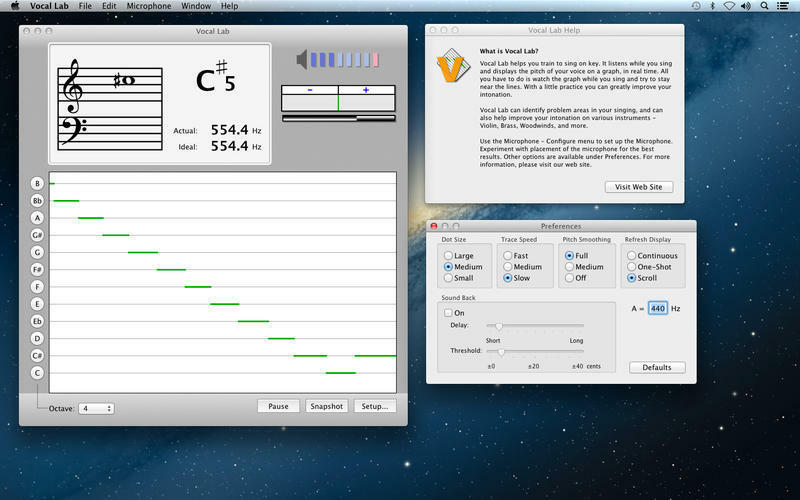 Vocal Lab helps you train to sing on key. It listens while you sing and displays the pitch of your voice on a graph, in real time. All you have to do is watch the graph while you sing and try to stay near the lines. With a little practice you can greatly improve your intonation. Vocal Lab can identify problem areas in your singing, and can also help improve your intonation on various instruments - Violin, Brass, Woodwinds, and more. "Sound Back" feature. Vocal Lab automatically generates a reference tone as an auditory guide. Vocal Lab needs a rating. Be the first to rate this app and get the discussion started! "Scroll" feature. 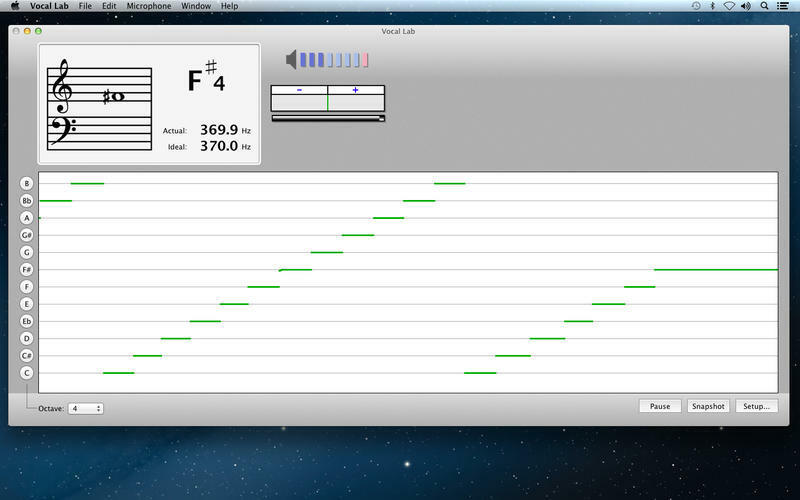 You can now record the pitch graph for an entire song. Visit our Web site at www.rustykat.com to check out our other products. Thanks.